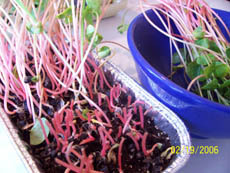 DAY 0: For each small tray, soak 1 Tablespoon of buckwheat seeds for six hours. 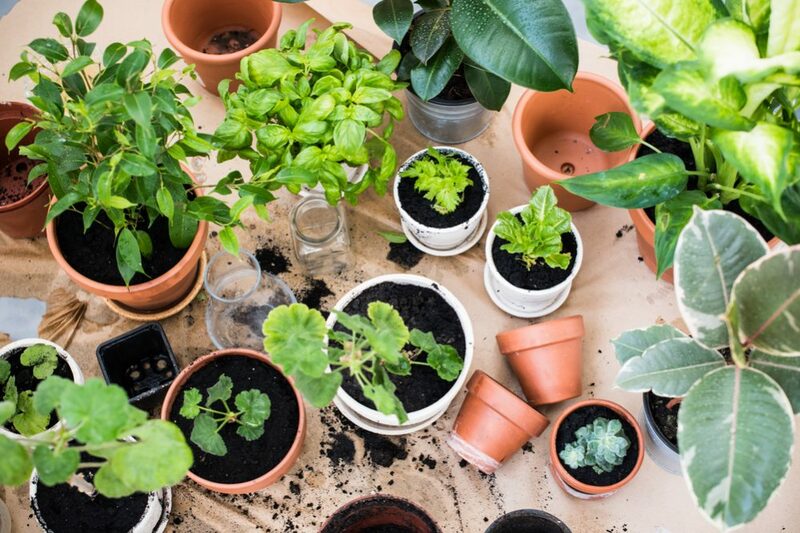 Spread the soaked seed over the soil evenly, just make sure that the seeds are not overlapping, the seeds can be touching though. Unlike the sunflowers, the radish seed do very well when planted randomly. 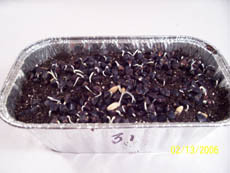 When the seeds are planted, place the soaked newsprint paper over the top of the pan and tuck in the edges all around the pan. 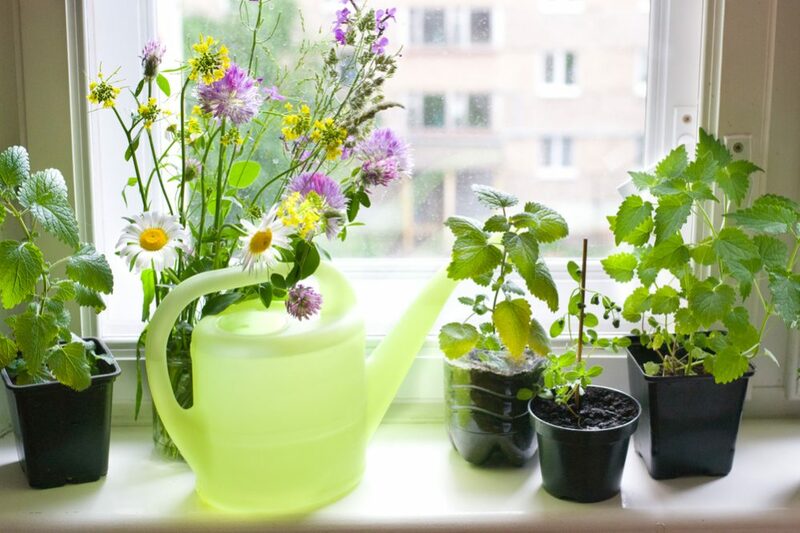 This will keep the light out, make for a little cup to pour water into if the paper dries out and help to keep the soil and seed moist all at once. Next place the pan in a dark, warm spot like in a kitchen cupboard over the refrigerator. 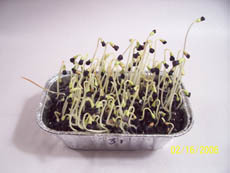 By leaving the sprouts in the dark they tend to reach for the light and that makes the stems longer. 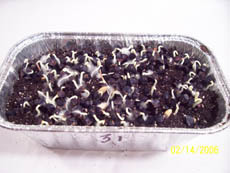 Buckwheat is slower growing than radish or sunflower in the beginning but once the tray goes into the sunlight the seedlings grow quickly. The hulls will drop off by themselves, but I still brush the greens with my hand. 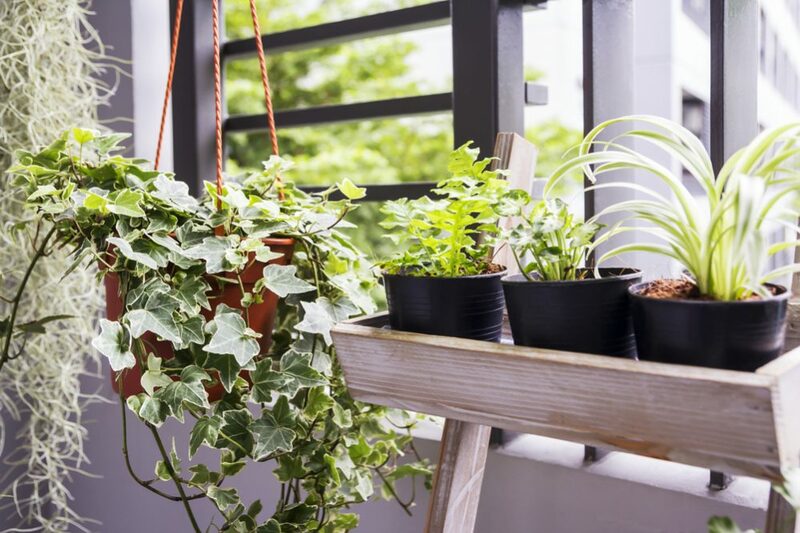 When planting buckwheat make sure to pick any seed that drops on the floor, the triangular shape makes for a pointed edge that will make you jump if you step on one of the seeds in bare feet. Then again you won’t need any coffee to wake up either! DAY 1: The first day after planting only shows very small change, there will be small white roots pushing out of the hulls, that look like white dots painted onto the seed! Keep the paper covers moist and tucked in around the edge. DAY 2: Buckwheat will seem slow growing at this point. Not much to do just be patient and check that the paper cover and the soil are kept moist. 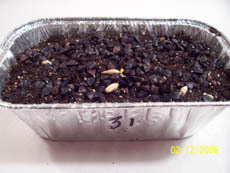 If the Daily Garden Soil Mix is moist when the seeds are planted the soil will not need water until Day 5. DAY 3: The roots will appear to have ‘fuzz’ on them, it is not mold but root hairs looking for moisture. This is the reason why it is important to keep the covers moist, they keep the roots from drying out until they reach into the soil for miosture. 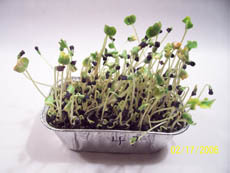 It is pretty amazing to watch, if you have kids, the sprouts are a living science lesson! 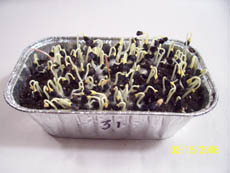 DAY 4: The sprouts may start to lift their heads today. The hull will show the leaf wrapped up tight inside it even at the early stage. They look like snow drops in early Spring with their heads hanging down. The stems have a loop in them. Keep the cover moist and the tray in darkness if possible. 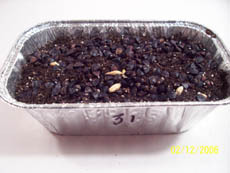 DAY 5: The seedlings shoot up about 2 inches or more. It is time to remover the cover and place the tray on the window sill. 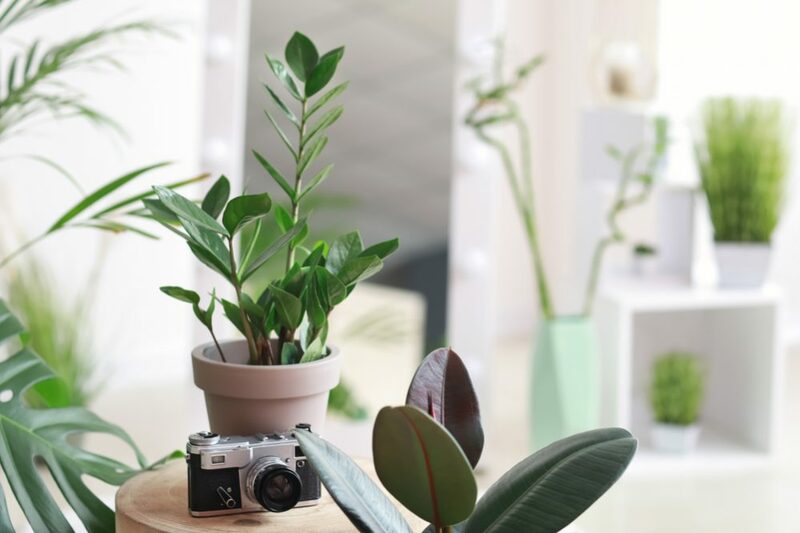 These guys love the direct sunlight but will green up and grow just fine in indirect lighting or even a light bulb will work if that is all you have. DAY 6: The tray looks like total chaos! Some sprouts are tall and some a short. Some of the sprouts have leafed out and some still have the hulls still on them, this is normal for buckwheat! Brush the leaves a little to loosen the hulls and pick a few of the hulls off if you want to. 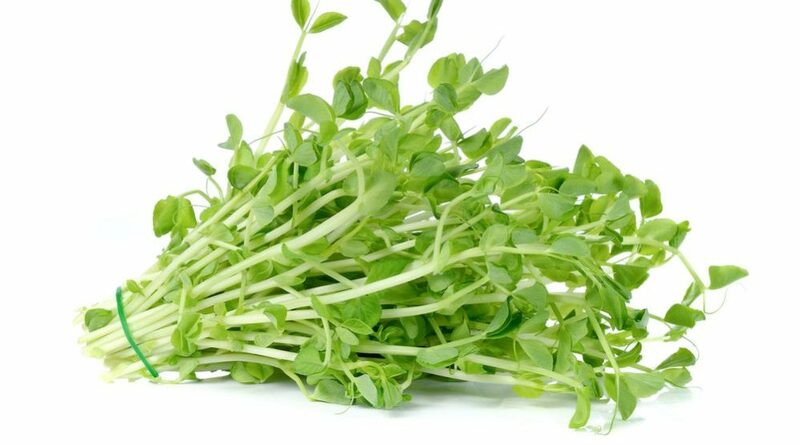 DAY 7: Although still somewhat chaotic looking you will have first class buckwheat lettuce with its distinct sweet and sour flavor. The stems should be slightly pink to bright hot ink in color. What fun it is to see these mature, it is the most tender green of all. HARVEST: To harvest the buckwheat lettuce, use a knife or a scissor to cut just above the soil line. Rinse the stems and pick off any remaining hulls, this is particularly important with buckwheat and sunflower because the hulls are pretty tough to chew! 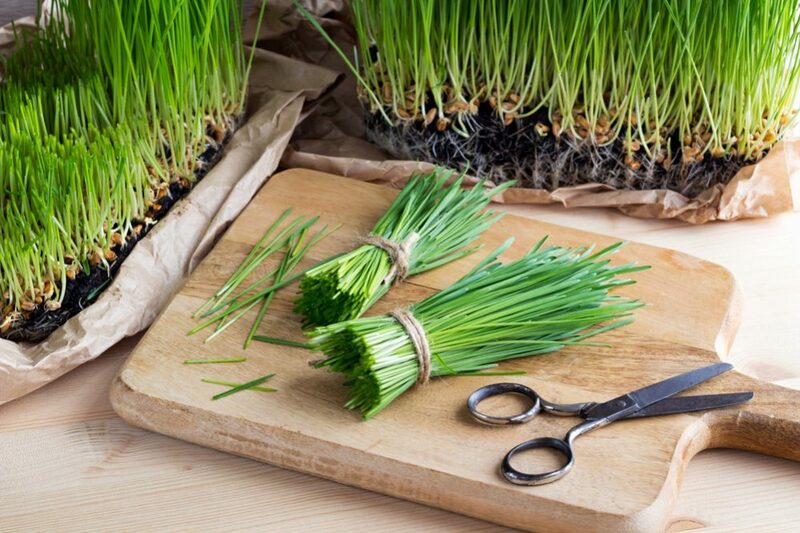 The hulls pull off easily and if you have any trouble getting the hulls off just soak the greens after cutting in cold water and the wet hulls will come off easily. Store in a plastic bag or container in the refrigerator for up to a week. You can continue to grow the greens a few more days to ‘store’ the buckwheat greens. 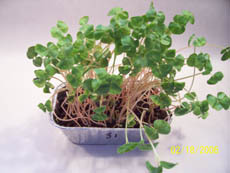 Make sure to water the seedlings everyday if you leave the greens in the tray.